In the Year of Young People, we celebrate these incredibly talented young musicians and introduce you to some of the players performing at the International Festival this year. As part of our 2018 Usher Hall season we are excited to welcome a vibrant crowd of hugely talented young musicians from all over the world. In this blog we’re taking a closer look at each of the visiting orchestras, as well as our own National Youth Orchestra of Scotland and National Youth Choir of Scotland. 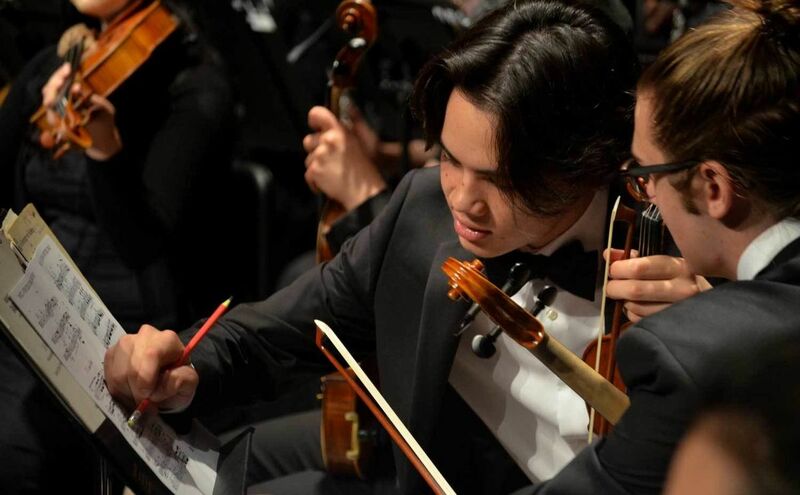 Let’s start in the heart of downtown Los Angeles, where one of the world’s leading performing arts education institutions is based – The Colburn School and their flagship orchestral ensemble. How do you recognise their sound? Just listen for their signature finesse and fiery flamboyance. 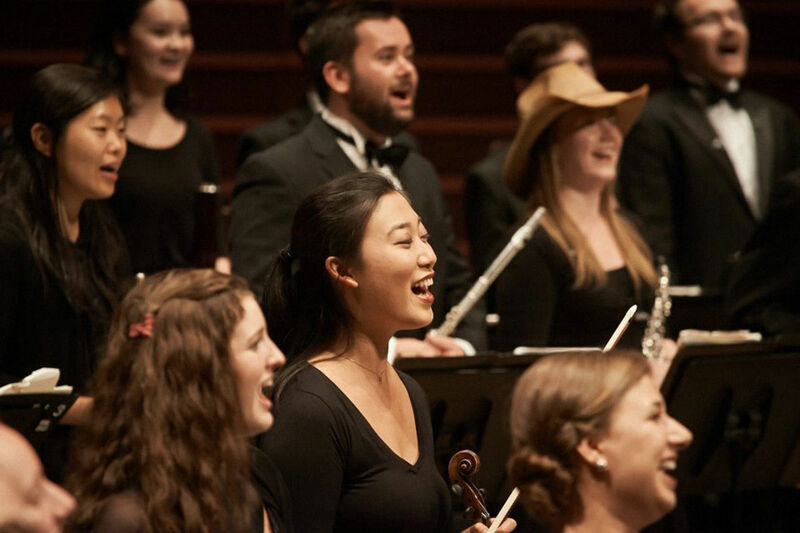 One of the key events in The Colburn School’s calendar is the annual spring gala taking place in Walt Disney Concert Hall. This year, Music Director of the San Francisco Symphony, Michael Tilson Thomas, led the orchestra in a concert of Mahler’s “Titan” Symphony No. 1 in D Major. In Edinburgh on 20 August, Colburn Orchestra is joined by violinist Simone Porter and conducted by Stéphane Denève, to perform Rachmaninov’s Symphonic Dances, Barber’s Violin Concerto, and a symphonic poem Nyx by Finnish composer and conductor Esa-Pekka Salonen. Next, we jump to the West Coast of USA, all the way to Manhattan in NYC, to say hello to Carnegie Hall’s brand new National Youth Jazz Orchestra of the USA. Make no mistake, the ensemble might have just come to life this year, but Carnegie Hall’s Executive and Artistic Director, Clive Gillinson, says that it brings together the most brilliant young musicians who all inspire each other. Outstanding musicians aged 16 to 19, perform on the same stage in NYC as Benny Goodman or Duke Ellington, and this summer go on their inaugural European tour as ambassadors of American music for big bands. For their visit to Edinburgh on 5 August, they are coming with a couple of extraordinary jazz artists. Trumpeter and bandleader Sean Jones leads the Orchestra, helping them to bring their best versions of themselves in music, and also joining them as a soloist. 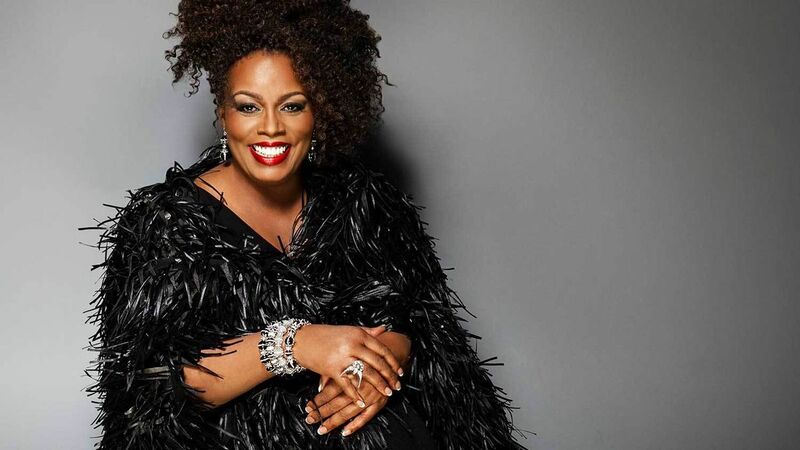 Expect to hear some incredible singing too, as Grammy Award-winning jazz vocalist Dianne Reeves - compared with Sarah Vaughan and Ella Fitzgerald for her powerful voice and personality - joins in for classic numbers. The next youth orchestra we’re looking at is made up of 80 musicians aged 18-30, representing more than 25 countries across North and South America. Amongst other accolades, the Orchestra was awarded with Latin Grammy (“Best Classical Album”) for their “Ex-Patria” in 2015, and a few years earlier they received the Golden Baton award in the League of American Symphony Orchestras. The ensemble boasts Plácido Domingo as their Artistic Advisor and a star-studded list of guest artists from the world of classical music including the likes of Philip Glass, Sarah Change, Joshua Bell, Valery Gergiev, and Gabriela Montero - who is joining for the concert in Edinburgh. On 7 August in Usher Hall, The Orchestra of the Americas, conducted by their Music Director Carlos Miguel Prieto, performs a vibrant repertoire of Chávez, Tchaikovsky, and Copland. For over 50 years, Canada’s prime youth orchestra has had a reputation for providing the most comprehensive and in-depth training programme in the country. No surprise that just one quick look at the list of ensembles where NYO Canada alumni continue their careers reveals the world’s powerhouse orchestras, many of which have performed at the International Festival. On 14 August, the accomplished ensemble of Canada’s finest 16-28 year old musicians led by Music Director of Vancouver Opera, Jonathan Darlington, performs a new work by John Estacio titled "Moontides", alongside Vaughan Williams’s Third Symphony and Copland’s radiant Appalachian Spring. We have the National Youth Orchestra of Scotland right on our doorstep. This ensemble is altogether unique, as it offers a complete experience for its students, all the way from 8 to 25 years of age, through training in a range of their orchestral ensembles and jazz bands. Yes, they have the skills, the energy, and all that jazz too! What’s in the programme of their concert? Debussy’s Ibéria and La mer, as well as two rarely heard masterpieces written a century ago by Lili Boulanger and Scottish composer Cecil Coles. What’s that beautiful singing? Ah, that’s NYCoS, of course! The main choir is made up of gifted singers between 16 and 25 years old, some of whom have gone on to make a big name for themselves as professional singers - Catriona Morison, winner of 2017’s BBC Cardiff Singer of the World competition and whom also appears at the International Festival on 15 August, is just one of them! 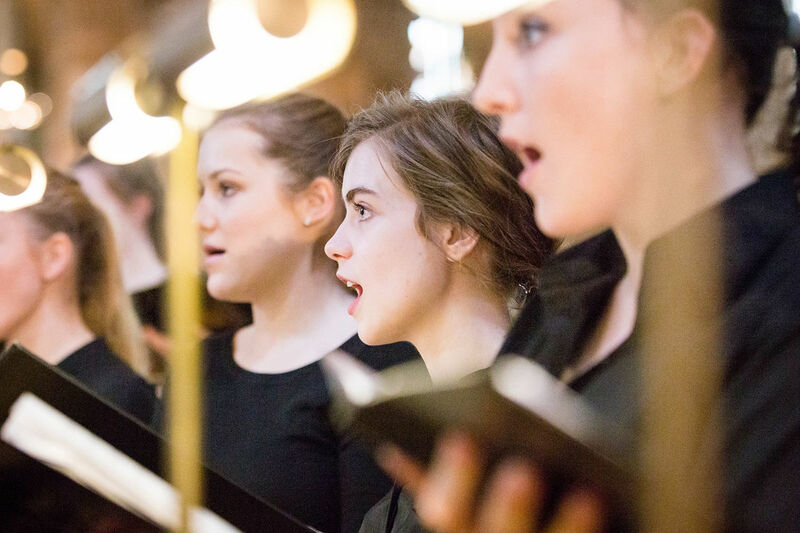 Let us tell you – the International Festival is keeping this choir busy in August as they are performing in four (!) concerts. First, right at the very start, they join the Scottish Chamber Orchestra, conductor Edward Gardner, and a cast of soloists for Haydn’s Creation in the Opening Concert. Next, Christopher Bell leads them in their own concert on 5 August in Usher Hall. Their younger ensemble, NYCoS National Girls Choir, raise their voices to tell the story of Hansel & Gretel on 15 August, and then move on to a truly colossal concert… Mahler’s Eighth Symphony, also known as “Symphony of a Thousand”. They will combine forces with our very own Edinburgh Festival Chorus, just so you can experience a truly epic choral might.